In this retroactive post, my Kiwi cousin and his family have finished their stay with us in The Hague. We’ve had some very late nights over good food and drink , with tons of laughter and chat about adventures old and new so time as flown all too quickly. 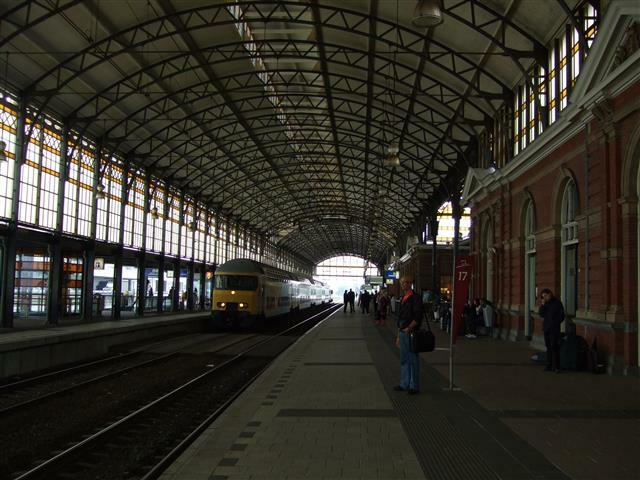 They are scheduled to take the fast train (Thalys) that operates the high speed train service between The Netherlands, Belgium, Northern France and the region of Germany around Cologne. 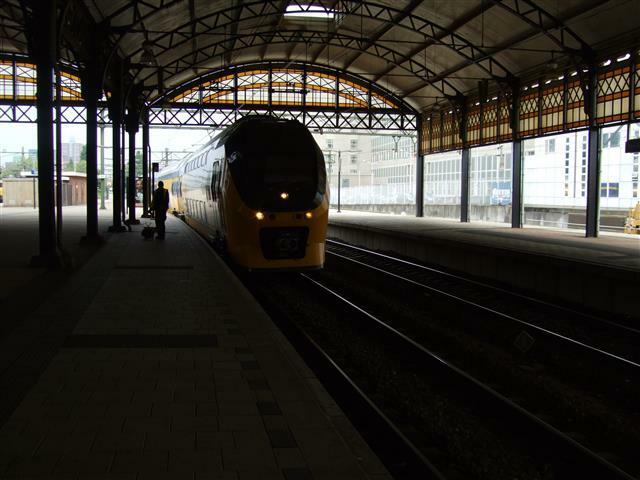 They have Eurail tickets that allow them so many train trips within so many days and have carefully allotted their time in Europe so that they can get to as many places on their list as possible in their allotted time. Naturally the wish list is far larger than can be accommodated in a three month trip, but they are doing their best to squeeze in as much as possible. Himself and I discovered some years back that various specialist cheese shops will vacuum pack cheeses, and once so packed the cheese will last six weeks without refrigeration. (with one small special note: decently aged ‘old” cheese can be vacuum packed but is the one sort of cheese that will suffer deterioration in quality if stored like this for any length of time, so each time we have vacuum packed it for ease of transport alone and with instructions to open this cheese packet first). A selection of vacuum packed cheeses have become a favourite parting gift to friends and family who have visited us and then continuing their journey in other parts of Europe. Needless to say their rucksacks were crammed full to bursting of chocolate and cheese at the train station and we later heard that they picnicked in France and later in Italy with a locally bought wine and freshly baked bread, and a new Dutch cheese to surprise, taste and enjoy. It’s a really practical gift on many levels in that it extends the enjoyment of their time in The Netherlands weeks after they left, it’s great for visitors who have discovered that Europe is far more expensive than prices back home and re sticking to a budget (aren’t we all?) and it’s not some weird or tacky object that’s not to your taste that you feel obliged to lug around both for the rest of your trip and then back home because some relative gave it to you. The beauty of the cheeses and chocolates is that you can enjoy and finish them as you go further in your travels and there is no excess baggage to check in at the airport later. …. Well, ok…maybe apart from the extra kilos you may have invariably will have gained after partaking of Europe’s delicious gastronomic delights. 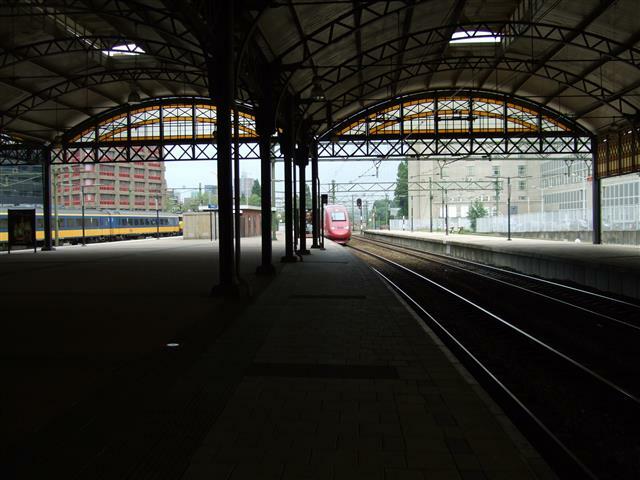 We drop them off at Hollands Spoor Station and wait with them on the platform. There are hugs and sniffles all round, time has been too short. Some double decker commuter trains pass by first, and a short while later, the burgundy-red sloping nose of the Thalys high speed train. Last minute hugs and then they are aboard, these trains don’t dally in stations, so literally minutes later they are frantically waving at the window as the train moves off from the station and within seconds they are receding into the distance as they continue to their next destination: Paris. 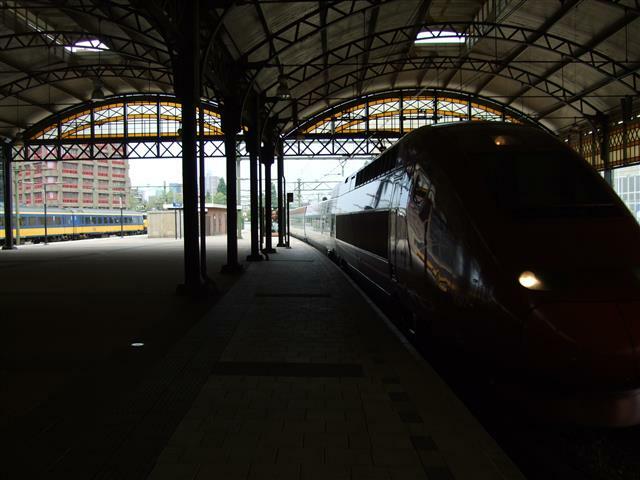 Naturally almost all of the photos I took were family photos of us together… but there are a few of the trains that came and went, …and the Thalys as it arrived.